UFC Singapore’s headline bout featured a UFC veteran Donald ” Cowboy” Cerrone looking to remain relevant, versus a streaking welterweight Who is trying to find a place in the upper echelons on the division. Hours before the main event, Donald revealed that he was violently ill with stomach issues and was tempted to call of a fight on his behalf. 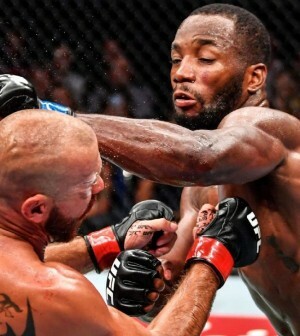 Leon Edwards badly busted up Donald Cerrone during the first three rounds. From kicking range to the clinch, he won almost every exchange in every facet and distance early on. It could’ve been a star-making performance for him had he secured a finish, but Cerrone somehow managed to tough it out and Edwards seemed to have slowed through the latter half of the fourth to the fifth round. Following the bout, Cerrone says he has a lot of fights left in him. Father time seems to be catching up to the 35-year-old, and it may be wise for him to drop back down and compete against people closer to his size next time.